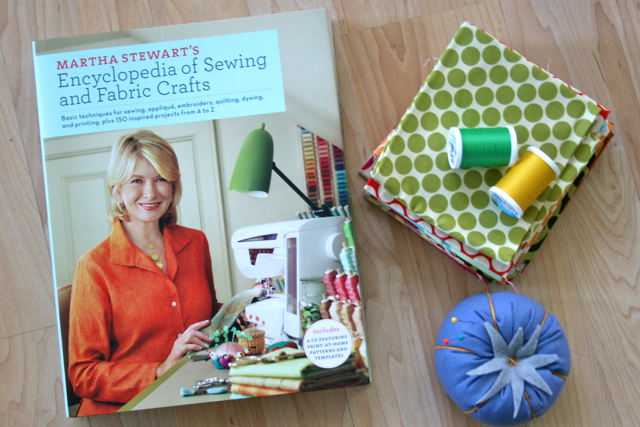 I had the opportunity to review Martha Stewart's Encyclopedia of Sewing and Fabric Crafts on Craft Critique last week, and I've been all kinds of inspired after reading it. If you want to read the whole review, you can find it here! 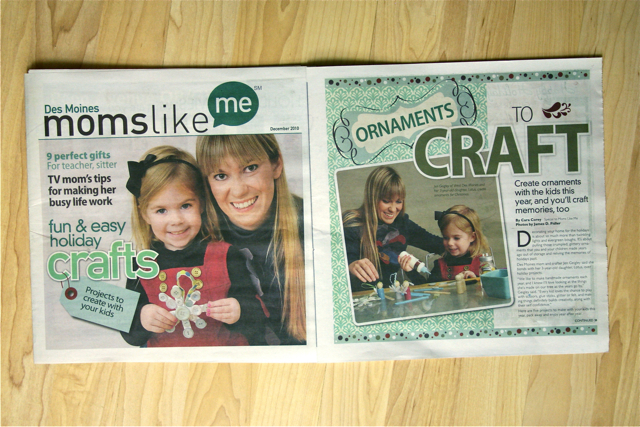 And last week, the Moms Like Me section of the Des Moines Register ran a little crafty story featuring me and Lo! I didn't actually see the paper version until today (thanks EmC!) 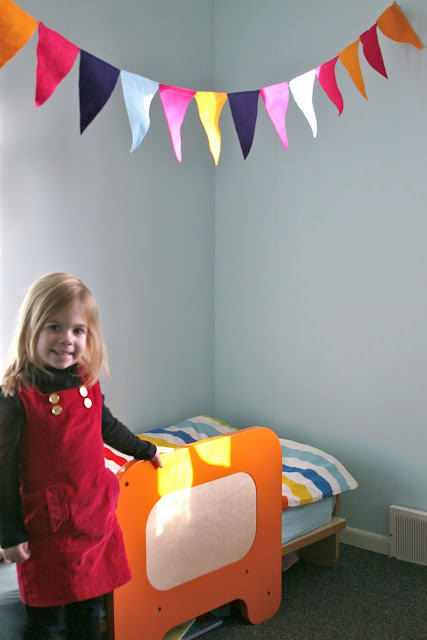 and thought my little girly looked pretty sweet. You can read the article on the web here. She looks so pleased with her garland! 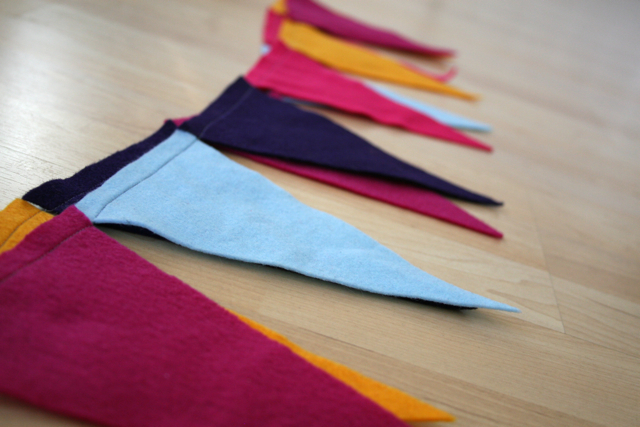 It must make her feel special to have you making cool things for her room. you and lo look adorable!! awesome press mama! that's so cool, Jen. That says a lot about you!!! Will bought that book for me last Christmas and I skimmed through it. I have to give some of the projects a go. Love that garland!! So cute that you and Lo were featured in the paper for crafty mom's and kids! So sweet.